Primal grew from a warm, happy, and long-lost place where we were insanely fortunate enough to have an amazing team, an exciting new platform to build for (PlayStation 2! ), and the freedom to make the game we wanted to make. Core influences were some of the awesome TV shows of the day: Buffy the Vampire Slayer, Angel and Dark Angel to name the foremost. We wanted to build a game that captured the vibe of these shows while also showing off some of the cool technical and artistic things we thought we could achieve with the (then) new PS2. The premise was a classic: pretty girl meets gargoyle, explores demon worlds, acquires demonic powers, and (spoiler!) has to kill her boyfriend to save the universe. We were lucky to hook up with our dream voice cast to bring these characters to life – Hudson Leick (best known from the Xena: Warrior Princess) and the fantastic and sadly missed Andreas Katsulas (whose work on Babylon 5 I so admired). Together they brought a truly unusual warmth to our main characters that stood out at the time, and remains quite special even to this day. Musically our game world needed some ‘bite’, and a chance email to the lead singer of one of my favorite bands led to us working with industrial/electro artists 16-Volt whose tracks gave a great crunch to our combat. In retrospect, it’s clear that in some regards our ambition exceeded our reach, and that the path we took with Primal was at odds with the larger directions the gaming world was headed — the open-world excesses of Grand Theft Auto or the social/casual gaming trends pioneered by Singstar and Eye-toy. But I think all of that makes Primal all the more notable as a one-of-a-kind, story-driven adventure with a quite unusual charm. I always felt privileged to see — on gaming forums and the like — that Primal made quite an impact in some people’s lives. 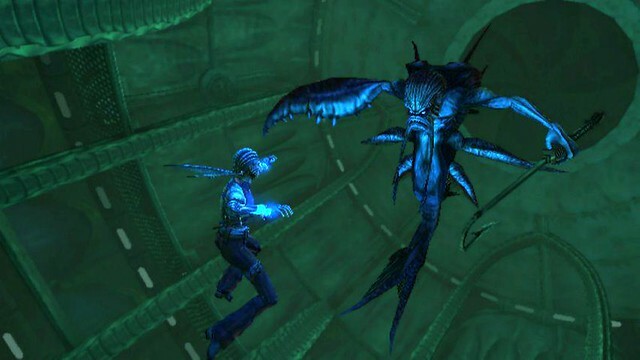 Originally released in 2003, the game’s soundtrack, ambitious, explorable environments, immersive artistry and non-throwaway storyline all help to explain its ongoing appeal. Above all, Primal’s warm-hearted, demonic soul was set loose when the world’s mass appetite for supernatural dramas was only just beginning to reveal itself. 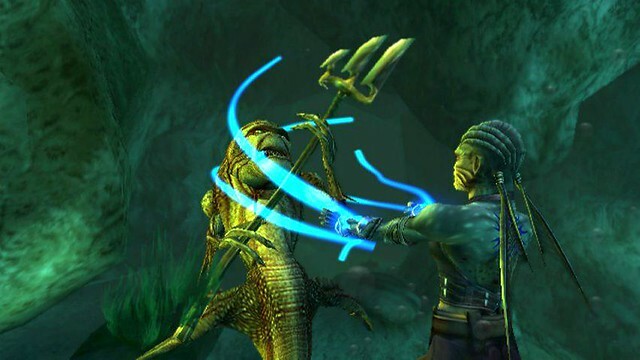 Now for the good news: Primal is returning today as a PS2 Classic playable on PS3! I hope in this re-released form that a few more people will get the chance to meet the demon king Herne, swim in the tranquil waters of Aquis, fight the vampire-like Wraiths, and awaken the sleeping djinn of Volca. With tomorrow’s PSN re-release, I also wanted to open the floor to some of my fellow Primal co-conspirators so they can share their favorite memories with you. Enjoy! Primal was my first opportunity to work with the Sony Cambridge studio and I met a fantastically creative team (headed by Jean-Baptiste Bolcato, Chris Sorrell, Katie Lea and Mark Gibbons) bringing great artistry to all elements of the game’s development. The environments for Primal were stunning, ambitious and completely immersive. Finding the right level of humor and genuine danger within Primal’s singular cast of characters was an enjoyable challenge and we were always looking to add as many layers of depth to script and performances to maximise the game’s impact. Crucially, the strange double-act of Jen and Scree worked extremely well, thanks to the performances of Hudson Leick and the late, great Andreas Katsulas whose warmth, dignity and good spirit overarches the world of Primal. This was, at the time, an ambitious project. The lead character was able to change from one demon state to another, with her combat styles and attacks matching her demonic state and abilities. I recall two particular difficulties: the first being the creation of a distinctive combat style while the character was underwater, the other being the use of an electrified whip and trying to get the whip to behave in a believable manner with a very constraining joint and spline set-up. The biggest issue was being able to transition between one whip attack and another, mid attack, without being visually jarring. Modern titles such as Bayonetta have succeeded in doing this very well but, at the time, this was very difficult especially with Primal running at 30 fps. On the whole, though, this was an exciting project to work on with great art direction. Occasionally I get asked about the games I’ve worked on over the years. When I mention Primal, I get one of two reactions from the asker: a blank-faced shrug or wide-eyed excitement and a babbling response about how much they loved that game. I suppose those extremes (and the passing of nearly 10 years) are the ingredients that make for a cult classic. It’s unquestionably the story and characters within Primal that fans really connected with, which is very gratifying since we invested a huge amount of time and effort into those aspects of the game. Originally the game’s background drew heavy influence from the classic tarot deck, but most of that fell by the wayside as development progressed because a truly tarot-centric world would’ve required a huge cast of characters that was simply not practical to deliver. However, there are still elements of tarot in the finished game, including the Kings, Queens and collectable tarot cards hidden throughout the game world. Primal was Sony Cambridge’s first game for PS2 and I recall our team experimenting a great deal with what the console could handle graphically. We had grand ambitions for the world and really pushed against the PS2 boundaries at the time. Once the game was completed, preliminary work on a sequel was begun that featured Jen’s lover Lewis as the central character. Primal II would’ve told the story of his journey through Oblivion’s Hell, back to Mortalis, the real world. I think perhaps the greatest indication of the affect Primal had on some of its players is the occasional Jen tattoo I stumble across, on both girls and guys. A game has to have moved you pretty deeply for you to commit an element of it to your flesh! Please mods, answer these for me! 1. Will extermination come to PS2 classics? 2. 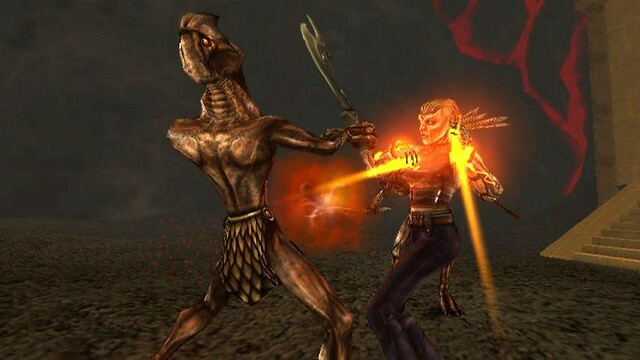 Will war of the monsters come to ps2 classics? 3. Will there be a primal 2 or at least, an HD port with trophies? 4. Will Vita get PS2 classics support? By the way… THANK YOU SO MUCH FOR MAKING PRIMAL! You have my $10. I played this game so much back then, i loved it. It got ruined, but i FINALLY after years of searching at gamestops, found it at a gamestop SEALED! I love the game, and will never get rid of the disk. Now, next week when i get a pay check… PRIMAL ON PS3 IS MINE! I’m also sorry to say that there’s also no chance of an HD update to Primal, reason being that the difference between a re-release and an HD update is actually pretty huge in terms of the work involved. To do an HD update demands a large amount of work by lot of people (from programmers and artists right through to QA) – and ideally people who have full access to and knowledge of all the original code and assets (i.e. the original devs). In Primal’s case the majority of the team have long since moved job or even country. So really the options open to Sony are spend a *lot* of money for the HD update (only really viable for the big-name titles), do a more straightforward re-release, or do nothing. 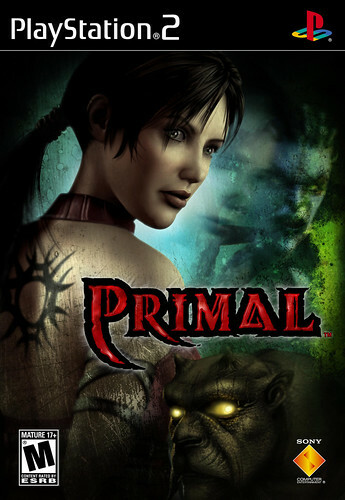 Personally while I’d love to see Primal in HD, I’m glad to at least see the original on PSN. It DEEPLY, really, deeply, sadens me to hear primal will be forgotten by many. This also reminds me that cult followed classics such as Extermination, War of the monsters and Tomb Raider Angel of darkness will be forgot. At least sony actually added primal. Im shocked they even remembered it. Someone high up there in the admin must actually love the game. My friend is a fan, i know cause the primal tattoo on jen, my friend has on her back in the same spot. But still, this is something that is on my highest loved game lists. Im still wondering if sony will release APE ESCAPE 2 and APE ESCAPE 3 on PSN somehow… You see? Sony keeps forgetting franchises… Yea, they gave us Ape Escape move.. But that was panned, and nobody liked it at all, they wanted ape escape 4. They wont even add ape escape 1 to the PSN as a psone classic. Not sure why. Im also wondering what ever happened to Medievil. Im sure that the series is over, maybe, because sly was brought back after 6 years so there is a chance… but still, on PSN, Medievil 1 is on PSone classics and the Remake called ressurection is on the PSP store area, but Medievil 2 is missing. I just found out that several ps2 classics were released onto PSN in Europe, two of which caught my eye were Sonic Heroes and Virtua Fighter 4: Evolution. Is there any chance those games could come to North America? Also, I found out that Rival Schools, one of my favorite fighters ever was released on PSN in Japan. How about that one as well?